h. Litihium-ion (embedded) Battery Life Up to 5.5Hrs. Acer the well known global leader and innovator famous for its unique products has launched its Game Series laptops and its Acer Predator 17.3” Screen Size Gaming Laptop is power powered an Intel Core i7-6700HQ Series 2.6Ghz Chipset Process with 6MB Cache Memory that has a support of NVIDIA GTX970M Series Graphic Card with 3GB GDDR5 VRAM in it for un-interrupted smooth 3D gaming with ultra fast speed. 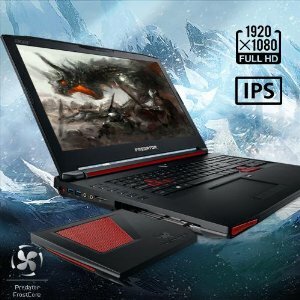 Its 17.3 Inches big screen is having Full High Definition 1080p resolution. 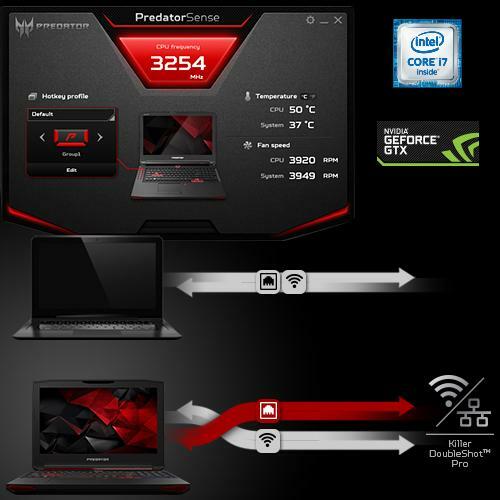 Intel and NVIDIA combination help improves the user’s gaming experience. 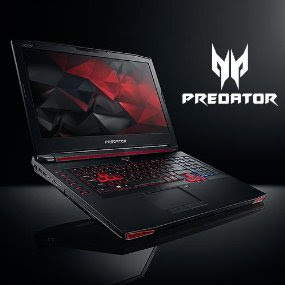 For Ultra fast smooth High Grapic gaming it also packs a 16GB of DDR4 Dual-Channel RAM that is also coupled with 1 Terrabyte Hard Disk Drive with 7200RPM plus an additional 128GB of Solid – State – Drive inbuilt. It comes with preinstalled Windows-10 Home Edition Operating System. It comes with a Lithium-ion Batterythat provides upto 5.5Hrs. of Power backup after full single charge that is good enough. Average Battery Life (in hours) 5.5Hrs.